who wrongly said it was only chromium. 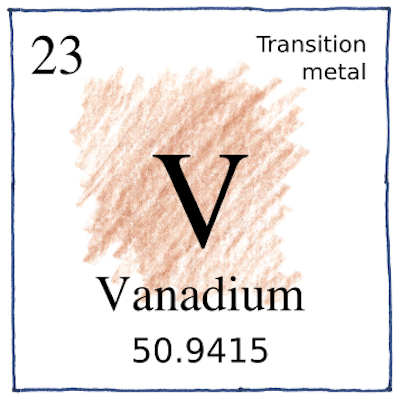 and they named it vanadium. would take another fifty years. Henry Enfield Roscoe was the uncle of Beatrix Potter. Aside from that, he was the first to isolate pure vanadium metal. Pigments absorb all but the color they reflect; mix them together to absorb all colors. When you mix cyan, magenta, and yellow pigments, you get black. When you overlap red, blue, and green lights, you get white. Isaac Newton recombined colors from a prism back into white light with another prism to show that color was a property of light.